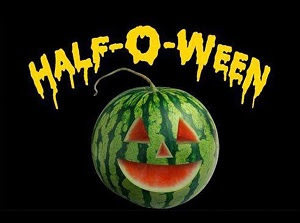 We are celebrating Half-O-Ween all May, as it marks the half way point til Halloween and starts our countdown to the big day for 2013! Have you started thinking about what you want to be and what plans you will make for Halloween? We are thinking about that for you and will be releasing the 10th Annual Extreme Halloween Top Costume List in June! That's right, this year we are also celebrating the 10th anniversary of our Extreme Halloween list of the top Halloween costumes. Each year we have put out a comprehensive list of the top Halloween costumes. We publish this list well in advance of Halloween so that you can make plans and see what's hot and what's not in costumes for the year. Happy Half-O-Ween and stay tuned for the 2013 Top Halloween Costume List brought to you by our web partner, ExtremeHalloween.com!